Founded in 1974 by Dave Knox, Sr., CPI began with one product line, one salesman and one big territory. Dave’s son joined the company in 1981 and is now the president since buying the company upon his father’s retirement in 1992. CPI has built their product line by building trusted relationships with the some of the best concrete product manufacturers in the country. With over thirty years of contacts in the concrete equipment industry, manufacturers have sought out CPI to represent their product lines. 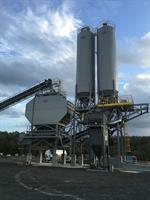 Concrete Plants, Inc. has represented Stephens Mfg. for over 25 years and has been with C&W Manufacturing for over 10 years. As of November 30th, 2011, Stephens Mfg. Co., Inc. is the exclusive manufacturer and dealer of the Inventure Mixer in the United States, Canada, and the Caribbean. 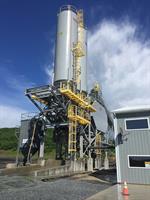 Concrete Plants Inc. offers a comprehensive line of concrete plants, dust control equipment, used concrete equipment, batch plant replacement parts, agg heating systems, batching computers, water heating and chilling systems, and more, as well as expert turnkey services including complete engineering and site layout. At CPI, we are constantly looking for new and innovative products and services to provide to our customers. If you are a concrete or aggregate producer, precast or block manufacturer, you have come to the right place.